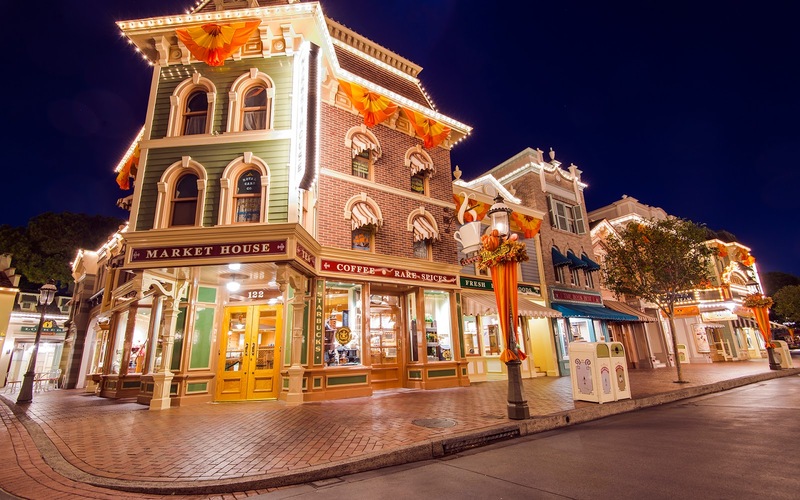 Night shots and Main Street during Halloween Time just go together like Jacks and O-Lanterns. The park is particularly atmospheric in the evenings, and the oranges and yellows really go well with the warm nighttime lighting in this nostalgic entry area of Disneyland. Naturally, the end of the night is when I wait for before I start photographing, but it's well worth the magical ambiance I get with those empty park shots. 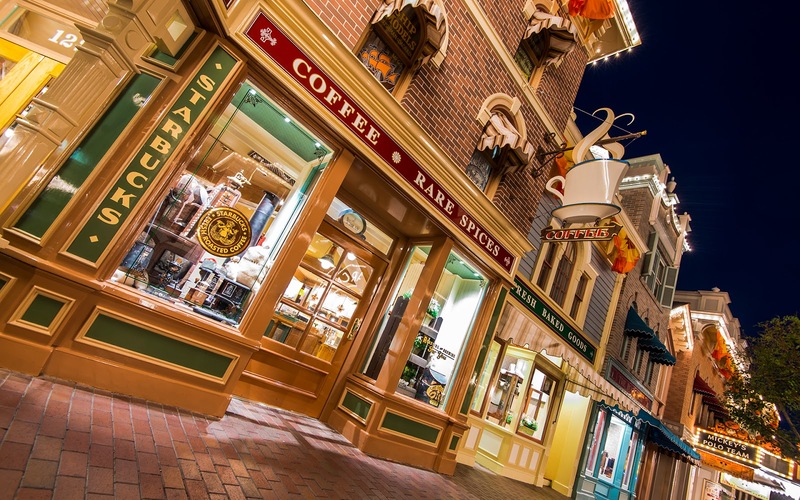 So here are yet more Main Street photos taken during October! 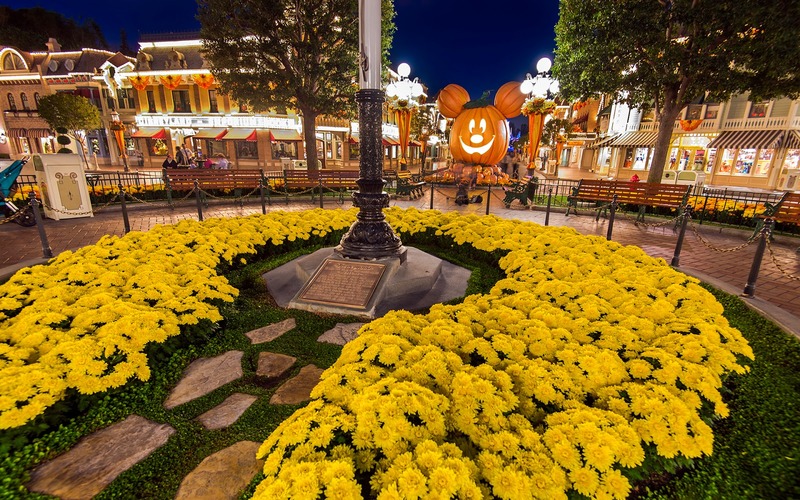 The Mickey pumpkin from Town Square. Market House was newly refurbished last year. 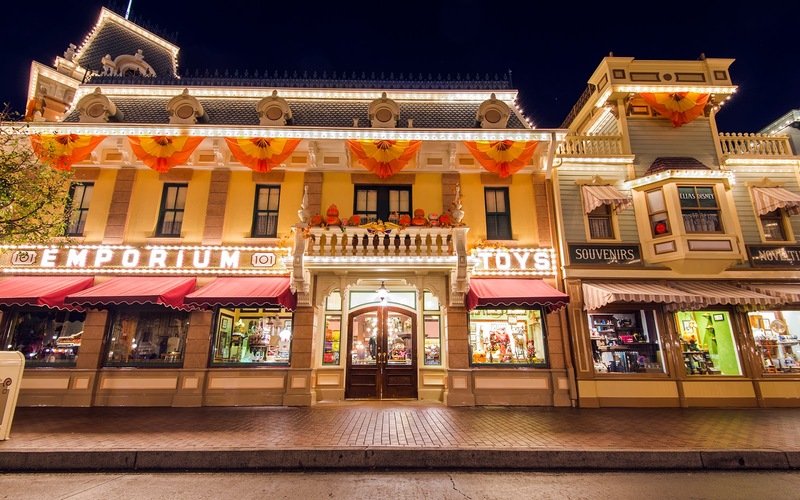 The Emporium, always a great place to shop for Disney wares. Another angle of Market House. 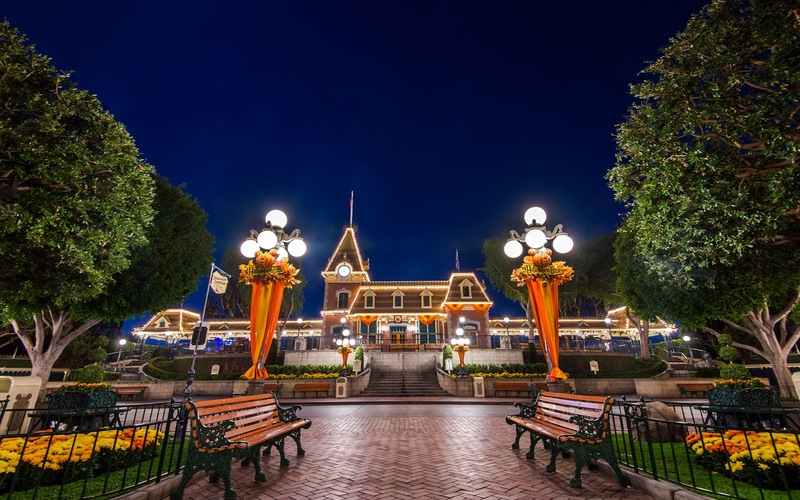 The Main Street Station, as seen from Town Square.